Traditional bow pull by Richelieu brings new life to bathroom or kitchen cabinets and furniture. Its attractive wide curved design will surely upgrade any home design. Features a unique lions head design and an attractive finish. Creates an eye-catching effect on kitchen cabinets. Richelieu Traditional Metal Pull - Chrome - 96 mm C. To C.
Enhance your dicor with this unique handle pull. Its outstanding style will definitely bring a lovely classic touch to any type of house. 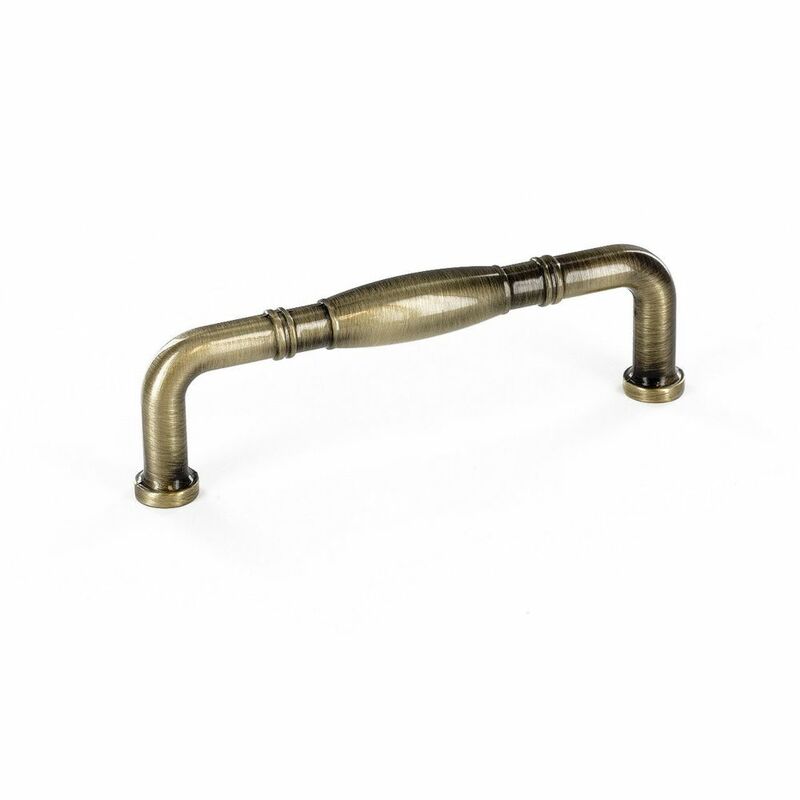 Traditional Metal Pull 3 3/4 in (96 mm) CtoC - Antique English - Pincourt Collection This Richelieu pull will add a touch of elegance to your kitchen or bathroom dicor. Simple lines with elegant handle details make this a classic.